So many lies, wrongs and evil. “Democracy” – how to spread and reinforce all of them. 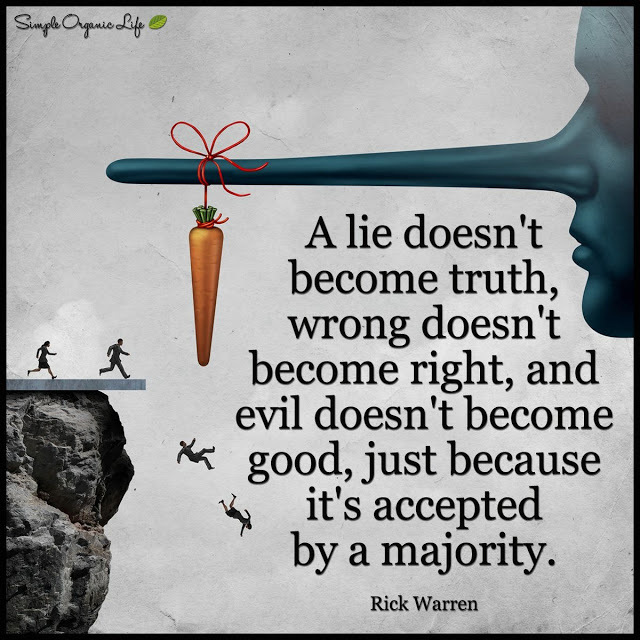 Why do so many societies in the world prefer to live with the lies, wrongs and evil of theft, tyranny, murder, war, hot and cold running control of everything by anyone with the will and ability to use force and fraud? Such a tangle of insanity. Why do so many people automatically assume that any group of people who call themselves “government” somehow has legitimate authority to continue that insanity? At any level. I don’t think that this will change at all, regardless of who grabs the brass ring in an “election.” If you do… I’d love to have you tell me why you think that way. This entry was posted in Mama's Rants and tagged empowerment, liberty, Our right of self-defense. Bookmark the permalink. Because it is easy, they do not have to really think and they do not have to take responsibility. They do not want to speak out for fear of being shot down. I don’t think the second idea applies, at least not very often. Most people I talk to seem to think that the “majority” SHOULD rule, no matter how much it violates even their OWN freedom. Now, that’s insane.